16th February 2012. In this newsletter we discuss updates to the "Your Say" system, announce the addition of two new articles to the Topics section, as well as several new products in the shop, plus find out about our latest giveaway offer. All sorts of bits and pieces have been happening around the edges lately, so in this newsletter we bring you up to date with the latest. Social commerce by word of mouth is largely a part of why ExplorOz has been so popular and continues to be an important reference tool. We have just added a new feature to this tool - you can now add your own photo, pdf file, or other document along with your comment/review/question. Also this week we modified the process for automatic publishing of Shop Item Reviews to the Forum. These are now individually read by office staff and only the most detailed and useful reviews will be copied to the Forum, however all reviews continue to be tagged to the product item and go into the random draw each month for $100 gift voucher! Before “One man and his campervan” hit our television screens and Jamie Oliver started preparing British food on the road, Sylvia Lerch was teaching the art of simple meals for the traveller’s kitchen. 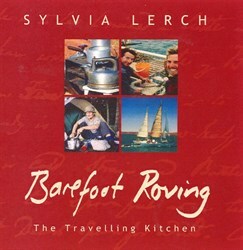 Barefoot Roving is the Aussie guide to preparing delicious, more-ish food while sailing, touring or trekking off the beaten track. Whether you’re a Winnebago enthusiast with all the mod cons or a self sufficient canoeist without a fridge, this book is filled with masses of useful information and recipes from around the world to help keep your palate as adventurous as your wanderlust. 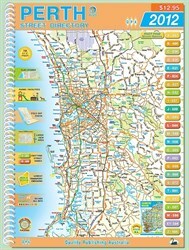 Following the success of adding our first ever New Zealand destination product into our ExplorOz shop, the Raster 250k New Zealand DVD, we've now added two additional NZ digital map products; the Raster 50k North Island and South Island DVDs are in stock and available now, plus they're only $25 each ($23.75 for members)! To join as as a Business Member and start promoting your business on ExplorOz, just go to this page. It's not MKR, but show us what you've got and you could win a copy of this fascinating cook book. Be one of the first 20 people to type your favourite old fashioned recipe into this blog (post a comment) and you'll instantly win a copy of Barefoot Roving. We have 20 copies to giveaway.